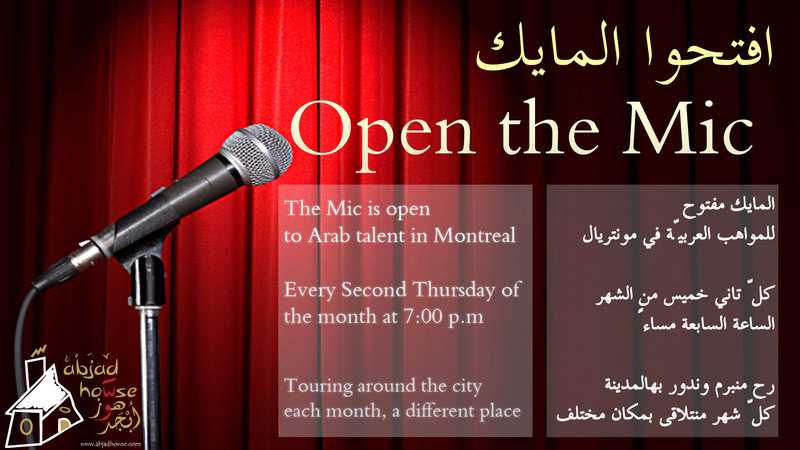 Arab community and friends are invited to an open mic session once every month to celebrate, nurture, and share their talent. Come and share your stories, poems, music, voice, or whatever you are working on. ‘Open the Mic’ is a safe experimental space that celebrates thoughts in its diversity. It takes place somewhere in the city every second Thursday of the month. You can register in advance to let us know that you are coming and reserve a spot for your act, or just show up and take the mic when the reserved acts are over.